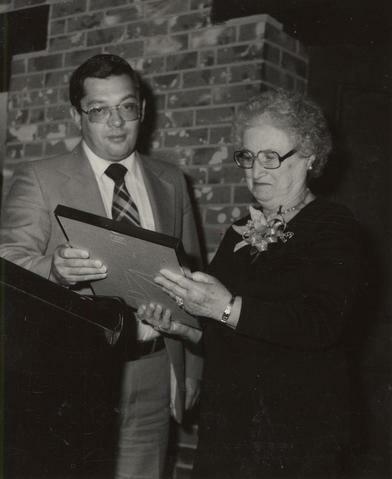 1 photograph : b&w print ; 4.5" x 3.75"
Photograph depicts an unidentified man presenting an award to Chava Wosk . Written on verso: Sept. 79. Oct. 4/79.